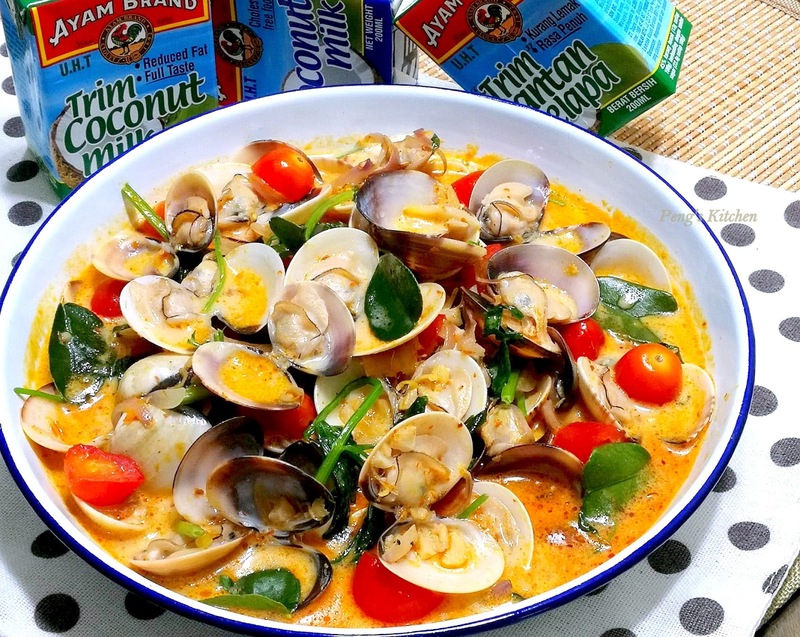 This dish is 'screaming' sedap! 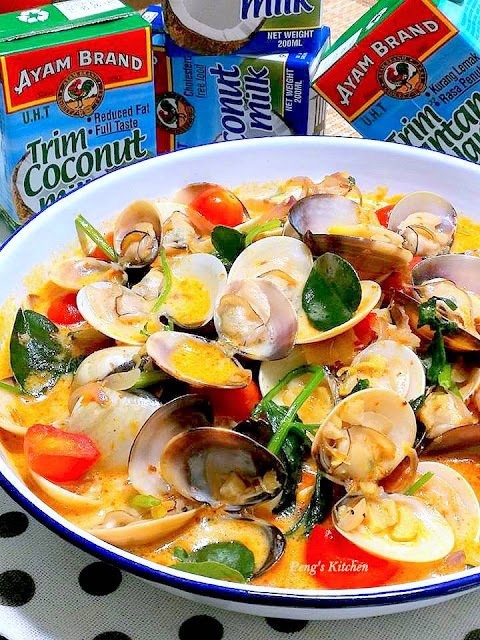 Sweet creamy coconut broth with touch of spiciness from the Thai red curry paste and hint of sourness from the lime juice. Be prepared to dig in a few bowls of steaming hot rice! Submerge the clams in a pot of salt water for 1-2 hours to allow it to purge out any residues. Rinse and drain well. Heat oil in wok. Add shallots, garlic, lemongrass and ginger, saute till fragrant. Add in curry paste and fry for 1 min. Add in stock, coconut milk, lime juice and lime leaves. Bring to a simmer. Add sugar, salt & pepper to taste. Add in clams and mix well. 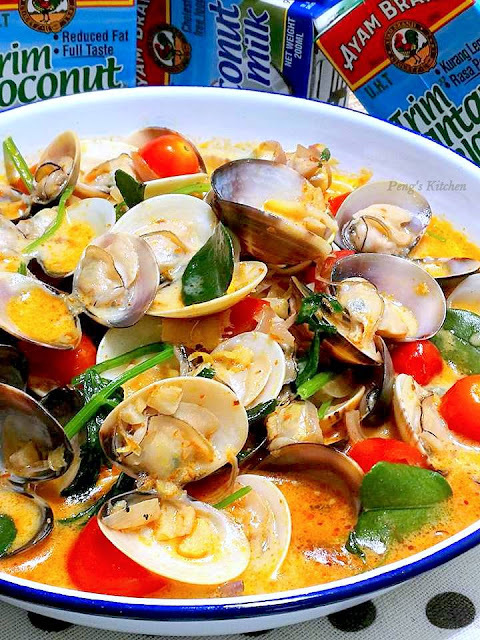 Cover wok and cook over high heat for 5-7 mins or until most of the clams have opened. Stir in chopped coriander and dish up. Serve immediately.